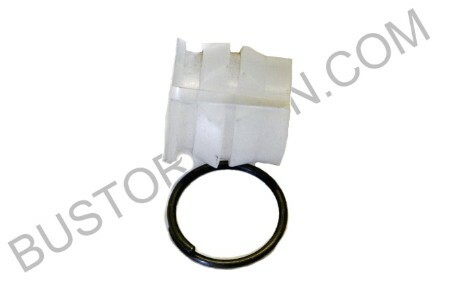 Brand:	GENERIC Description:	[Transaxle] Bushing, Shift rod, Front, split style with snap ring One bushing per vehicle. Goes around shift rod using the cut crease and the snap ring holds it closed. Application:	Type 2 1953 - 1966 1/2 (not actually used until 1959 but will work). Type 1 1953 - 1979, Type 3 1961-1974.